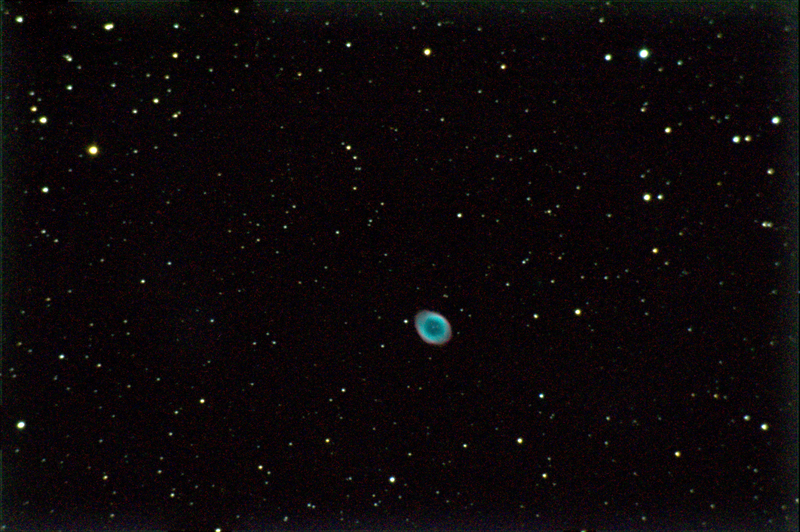 Here are this year's and last year's attempts at M57. They both use a C8-N with a driven CG5 and DSLR. They both consist of 30 second fames. The main difference is that this one has a x2 Barlow lens (Televue) and guiding. The 2018 one had a 2" light train with coma corrector and light pollution filter, which I had to dispense with because the TV Barlow was 1.25". The DSLR is mains powered here. Maybe it's my imagination, but I think the RAW frames are a bit noisier. Neither of them have flats and you can see the vignetting in the 2017 image, which disappears. with the Barlow in play. Maybe I'll take some flats for this image and apply them, but I don't see much to correct. 203 mm Newtonian telescope. Nominal FL 1000 mm. 30 x 30 sec darks. ISO6400. 6 deg C.
CG-5 mount with enhanced handset and Arduino control. The TeleVue has certainly made the image bigger and you can see the white dwarf at it's centre. But it not as good as many of the others on here with similar equipment. Any suggestions for further improvement? Update typos 1600 -> 6400. Oh, sorry that was a typo. All the ISOs were 6400. I'll update it. 1) Focal length, which I tried to improve that with the TeleVue x2 Barlow. Although it says x2, it looks more like x3 or 4 and I haven't cropped either photo. If it were x3, that would make the FL 3000 mm. The white dwarf in the centre is not very point-like, and I put that down to the glass in the TV Barlow. I think If really I want to improve it I need to switch out my x5 Newtonian for a x9 or x10 instrument (for similar aperture). Eg a SC or Mak. 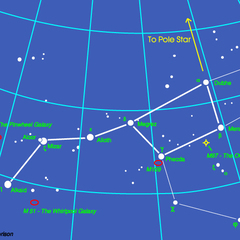 2) Length of guiding. My CG5 was used and frozen when I bought it. 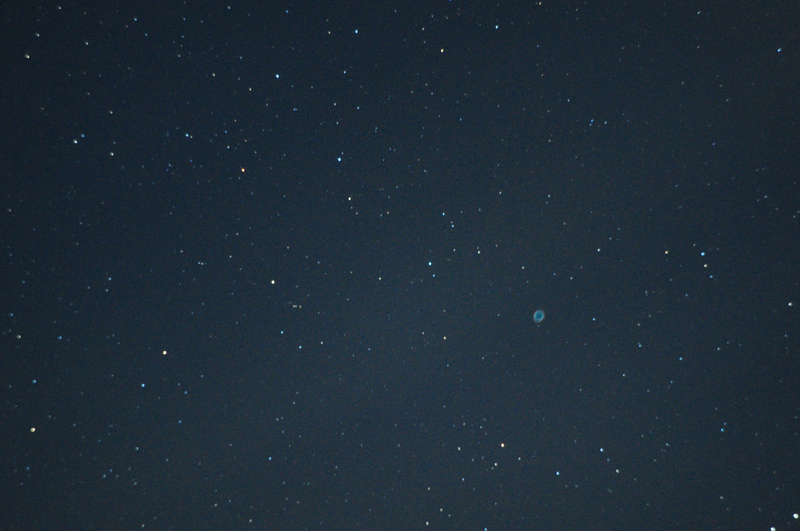 Although it works nicely now, the guiding error is still 3" which is not the best, so I keep it to short exposures. My real question is, do you think the TV Barlow has helped or not with DSO photography. Maybe it's best to reserve for planetary. So you think ditch the Barlow for DSO, reduce the ISO to ISO1600 and take more exposures? Or take longer exposures? Maybe if the magnification were less, the guiding limitations would not be so obvious. 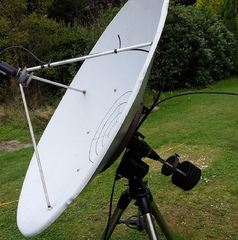 Possibly I could get the equivalent of greater magnification using dithering on guiding and the drizzle option on DSS ? What do you think? Great photo. How long were the frames and how did you process it? The white dwarf in the centre is clearly visible. Well effectively you are compensating for the slow F-ratio with high ISO..but that introduces noise, and you need darks to compensate (you almost took the same amount of time imaging 'blackness' as you did the object ). 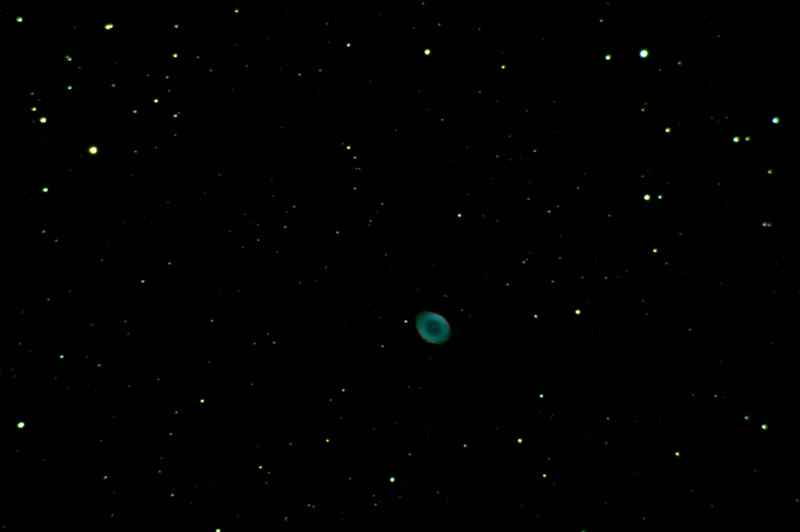 But M57 is a REALLY small target, so you need long focal length to get the scale. Thanks for the compliment, my image is cropped a bit (had some issues with camera tilt that night! ), but the data is: 63mins from 3 min subs with Flats and Bias, no darks iso 800. i use APT and dithering these days and get almost as good a result as using darks. Well, I might try again without the TV and with longer frames, if I get some clear sky. It's looking a bit wet and overcast this week. So here I re-processed it a little (given that it's raining). Do you think this is better than before or not quite so good?